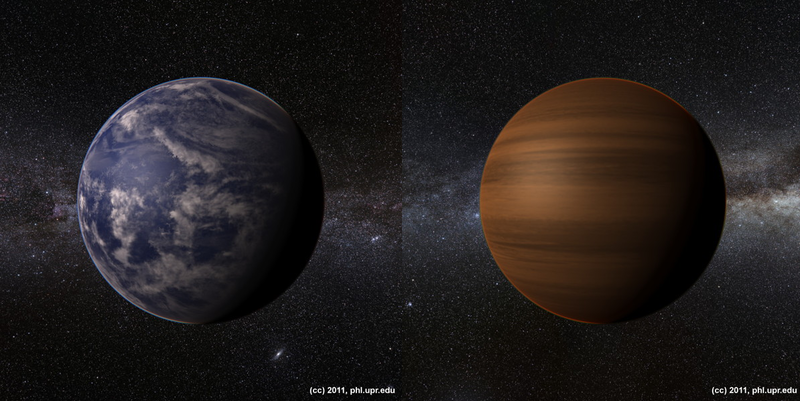 Things We Don't Know: Are Exoplanets Habitable? 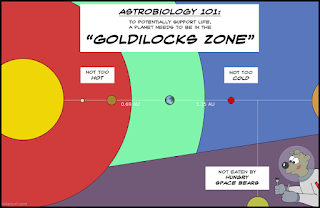 It should be relatively easy to spot a number of limitations of the habitable zone concept already; we are still unsure of the atmospheric composition of many of the planets we have already discovered, which would significantly affect any habitability analysis. 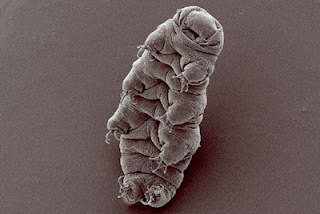 Also, we assume that any potential exobiology (the biology of life on other worlds) would have the same requirements as Earth-based life, which may not necessarily be so. The wide variety of extremophile organisms (those able to tolerate extremes of temperature, pressure, salinity, radiation etc.) on Earth might mean we should extend the parameters of the habitable zone beyond those originally considered. All in all, the idea of a habitable zone is a great thought experiment, but it may not necessarily translate into a warm, clement planet in reality. Planetary processes, such as tectonics and atmospheric greenhouse effects, warp the boundaries of the habitable zone. Furthermore, astrobiologists are now considering the very real possibility of salty liquid water existing in massive sub-surface oceans of Jupiter’s icy moon Europa, a body well outside of the defined habitable zone of our solar system1. Another good example of the limitations of using the habitable zone concept in isolation was the furore that resulted from the discovery of the first planet definitively found to be within the habitable zone of its star, Kepler 22b, in late 20112. The popular science media and news outlets were awash with articles and posts describing Kepler 22b as “Earth’s twin” and “Earth 2.0” based solely on the fact that it has been discovered to be orbiting within the habitable zone of the Sun-like star Kepler 22. The media circus surrounding this announcement was an unusual situation, and one that had not been afforded to many other exoplanet announcements before or since. It’s clear that the possibility that this distant world may be suitable for life had spurred the imagination of scientists and the public alike. However, what was usually skipped over, or not mentioned at all, is that Kepler 22b has a radius 2.1 times that of the Earth, and estimates of its mass range from 10 to 34 times that of our planet. The large uncertainty in these figures are due to the method used in its detection, more about which can be found in this previous post in my TWDK series. The unknowns inherent in the discovery of Kepler 22b meant that it could be either a warm, ocean covered rocky planet with a greenhouse atmosphere similar in composition to that of the Earth, or a gaseous planet with crushing gravity and surface temperatures closer to a lead-melting 460 °C, depending on its mass and composition. These are attributes we cannot yet determine effectively. Kepler 22b: Oceanic paradise, or hellish furnace? More data and better detection technology will provide the answer in time, but until then it remains important not to over-hype planets that are only borderline habitable in the very best case scenario as this will most likely be damaging to the public perception of this exciting field in the long term. Recently, there has been revitalised interest in the habitable zone concept itself, which was first proposed in 1953, with updated estimates based on new climate models published in the scientific literature, as well as increased use of integrated habitability metrics which take other planetary factors into account. However, our understanding of the factors that control the habitability of extrasolar planets is at a very early stage, as is our grasp on the limits that life can endure, and it remains too early to say with much confidence that we have discovered another world suitable for life. This guest post is by Andrew Rushby, currently undertaking a PhD in earth systems modelling at the University of East Anglia. Andrew usually blogs at the II-I- blog, the Pale Blue Blog or the European Association of Geochemistry blog. He can also be found launching high altitude balloons into (near) space, and tweeting as @andrewrushby. This is the fourth and final post in our series of posts about the many unknowns involved in the study of planets orbiting other stars across the galaxy, but is the first of our World Space Week series for 2013. If you'd like to know more about what's going on in World Space Week this year, there's a list of activities taking place over at the British Interplanetary Society's website. If you're not in the UK, you can find out who your national co-ordinator is here.